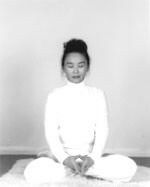 Yuan Miao is a profound Chinese/Tibetan spiritual teacher who was trained from infancy by her enlightened Tibetan Grandmother whose father was a high Tibetan Buddhist Rinpoche. Grandma transmitted her lineage directly to Yuan Miao. Singer, dancer, artist and author, Miao does not consider herself to be a spiritual teacher but rather a transmitter of joy. Although her spiritual roots are in Vajrayana Buddhism, Miao’s approach is not Tibetan Buddhist. She imparts a universal wisdom that embraces people of all faiths, as well as those who consider themselves non- religious. She shares this knowledge freely and without judgment. Yoga of Joy is the tantric practice of Vajrayana yoga and primordial yoga (the Yoga of Joy) as “discovered” by master Yuan Miao. Yuan Miao hails from the lineage of her Tibetan grandmother, Yeshe Tsuomu, whose father was a rinpoche in the Nyingma tradition of Tibetan Buddhism. Yoga of Joy combines postures, breathwork, visualizations, mantra and mudra in a concise and highly effective practice to purify both gross and subtle bodies. The initial 8 steps of The Yoga of Joy involve form, but the ultimate aim of the practice is to move beyond form–open one’s heart and discover our true Inner Nature. Master Zi Sheng Wang (pronounced W-ah-ng), preeminent Qigong healer, has been studying Qigong for almost 60 years. He has developed the unique ability to transmit energy to tens of thousands at a time, even across vast distances. The International Chinese Medicine Congress honored him as the Most Outstanding Qigong Master of the Year in 1998, and he is recognized as one of China’s foremost energy healers. In Beijing, he has coached some of China’s top athletes. He is a board member and advisor of many Chinese Qigong associations, and is the founder and president of the San Francisco based International Tibetan Qigong Association. He has authored the book, The Path of Dzogchen, currently available both in Chinese and English. Born in 1971, Ven. 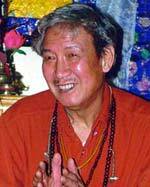 Norbu Lama began his study of the Dharma in the Gelugpa lineage of Tibetan Buddhism and was ordained in Sera Mey Monastery in 1987. During his 14 years of monastic studies, he was blessed to study with teachers such as His Holiness the Dalai Lama, His Holiness Sakya Trizin, Ven. Khen Sur Rinpoche Ngawang Teecho, Ven. 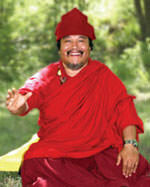 Dhakpa Tulku Rinpoche, and Ven. Geshe Danche Zunpo. Then, Ven. Norbu Lama came to the United States to explore the world, meet people from diverse backgrounds, and teach the essence of Buddha Dharma, which transcends culture and ideology. He is currently teaching Buddhism and living in Phoenix Arizona as the spiritual director of Bodhiheart. Fiona Whitmore has studied, practiced, and taught healing, intuitive development, rebirthing, mind and emotional transformational tools, breath, Feng Shui/Geomancy, Qi Gong, meditation and Earth Awareness throughout the world for thirty five years. During much of her life she has lived among and studied with indigenous people of Africa, Australia, and Hawaii. She studied yoga and meditation for over twelve years in India, Australia, England and the US. She was a medium and psychic consultant and gave classes in ‘Awakening to Natural Intuitive Abilities’ throughout Australia in the 70′s. 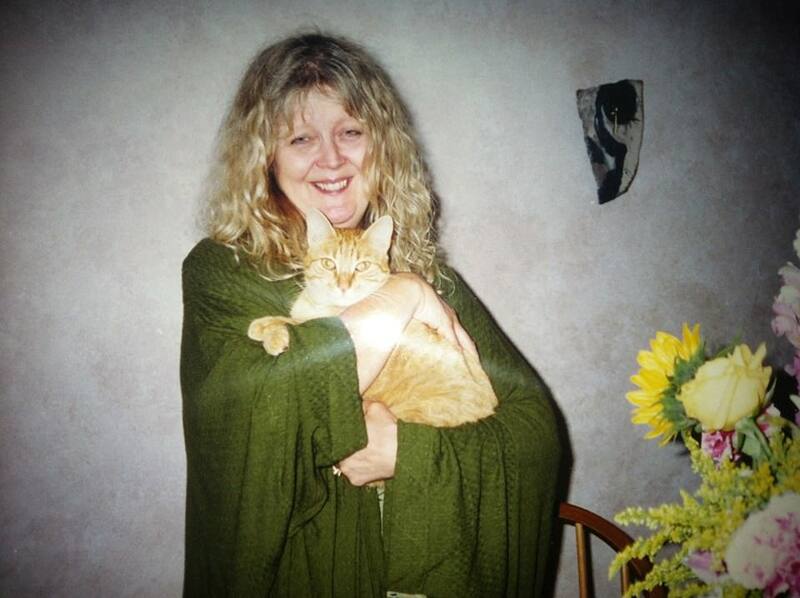 During the 80′s she taught classes in energy healing, shamanism, rebirthing, past life regression, meditation and ‘awakening to natural intuitive abilities’ in Australia, California, and New York. For 16 years she was an apprentice to Grandmaster Hong, a Qi Gong and Feng Shui Grandmaster, one of only a handful of grandmasters in the world. 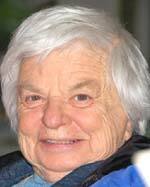 In 1996 she established The Healix Institute in NY. She lives and works in Ojai, CA, but travels to NY to teach in the schools ongoing classes and to see clients regularly. Therapeutic Touch is an intentionally directed process of energy exchange during which the practitioner uses the hands as a focus to facilitate the healing process. It is a contemporary interpretation of several ancient healing practices. Therapeutic Touch is a scientifically-based practice founded on the premise that the human body, mind, emotions and intuition form a complex, dynamic energy field. The human energy field is governed by pattern and order. In health, the field is balanced, however in dis-ease, the energy is characterized by imbalance and dis-order.